We honor February with a hat’s off to National Children’s Dental Health Month. In our Brookline dentist office, your smile and oral health are our number one goal. But February is full of ways to celebrate. So let’s take a look at ways you can brighten up your month and your smile all at the same time. If they haven’t done so already, children should begin visiting the dentist within their first year of life. Our Brookline dentist team offers Family Dentistry services so that your entire family can just have one dentist. Save yourself the hassle of driving all over town and let us meet all of your dental needs. Besides regular dental visits at least once every 6 months, you can introduce brushing and flossing to young children as soon as teeth emerge. Engage with children in fun ways in order to make their oral routine fun and enjoyable. A quick song that lasts 2 minutes helps children understand how long they should brush. Utilize technology and dental apps aimed at brushing and flossing. Even a book at bedtime can promote oral health….not to mention February is Library Lovers’ Month. As a Brookline dentist who is focused on your health, chocolate is one of the last things we should celebrate. However, we know it’s hard to resist the Valentine’s Day candy. So, let’s embrace it, but in a responsible manner. Dark chocolate is best for its antioxidant properties. Just don’t overdo it. 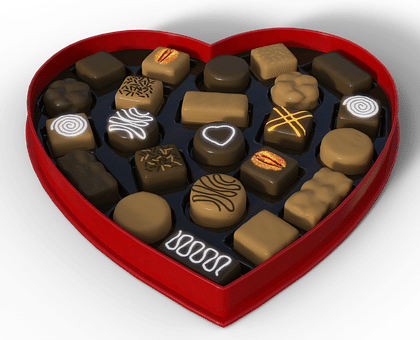 Avoid chocolates with sticky caramels that are tough to clean off teeth. And, if you must silence your sweet tooth, indulge in sweets right after a meal. This lets the saliva that is already working to wash away food get rid of any sugar that adheres to your teeth. Follow dessert by brushing your teeth as well as flossing. Heart disease affects nearly 1 out of 5 people. Periodontal disease rates are even higher. Unfortunately, periodontal disease is one of the leading causes of heart disease as new research is finding. Our Brookline dentist encourages regular check-ups to address any gum inflammation. Treating gum disease early prevents periodontal disease which lessens your chances of heart disease. Celebrate Heart Month by eating healthy, exercise, and caring for your teeth.